NSW Nationals Member for Murray Austin Evans has announced $20,000 in funding for Griffith’s Rewind in the Vines event on March 23. The family-friendly festival, headlined by iconic Australian rock group The Angels, is set to be held on the lawns of the Miranda Winery in Griffith. Mr Evans said it was the second year running that Rewind in the Vines had been successful in receiving Incubator Event Funding, which assists rural and regional events to increase participation in their first or second year. Organisers will use the funds to promote the festival to a wider audience in order to boost visitation from outside the region and encourage overnight stays in Griffith. Festival Director Jack Stewart said the vision was to build Rewind in the Vines into one of the State’s premier regional music festivals and showcase Griffith’s world-renowned wineries and fantastic local cuisine. The Angels will be supported by live performances from Diesel, The Black Sorrows, Choirboys, Radiators and Pacific Avenue, with local bands Happy Avenue and Side Effect opening up the festivities. There will be fun for all ages on offer, with a dedicated kid’s area called ‘Little Rewind’ hosting a jumping castle, along with face painting and other activities throughout the day. To facilitate a bigger crowd and longer opening hours, the food and drink menu at Rewind in the Vines 2019 will be expanded with ample choices available for meals at any point of the festival. For the 2019 event, Rewind in the Vines has partnered with Bella Vita Tours to create a range of package deals that allow travellers to experience not only a day of classic Australian music, but also a taste and tour of local Griffith wineries with accommodation, breakfast and transport all included. Griffith mayor John Dal Broi said Griffith City Council was proud to support the city’s premier music festival for a second year. 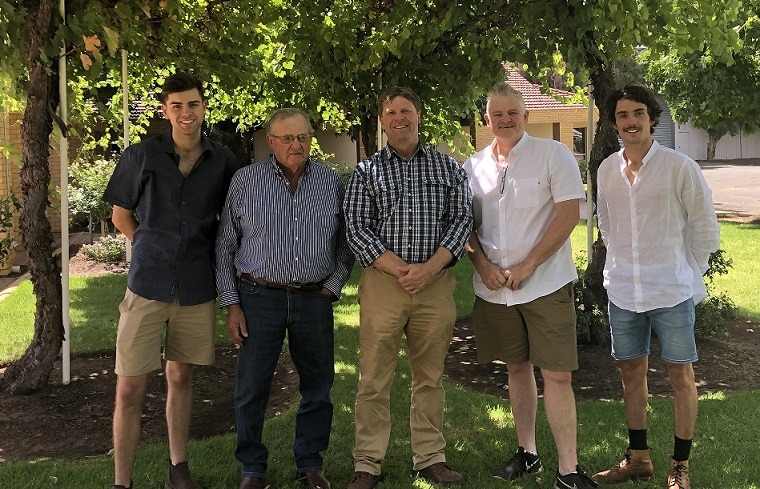 Destination Riverina Murray General Manager Richie Robinson said the event was quickly establishing itself as one of the region’s flagship events. For more information and to secure a spot at Rewind in the Vines, click here.